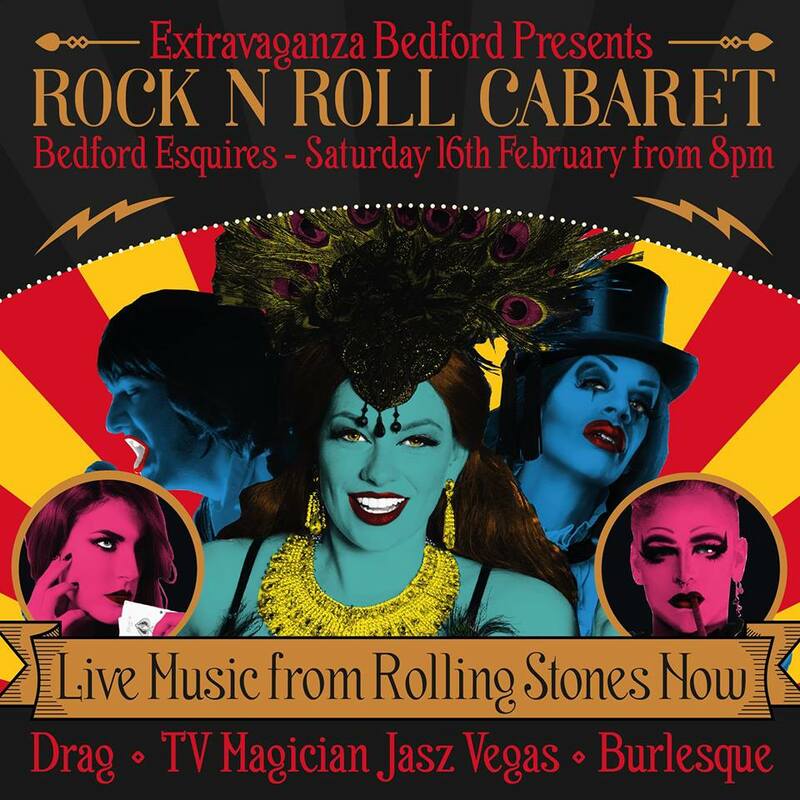 This promises to leave you amazed and dazzled by the imagination of this spectacular event of Live Music, Burlesque, Drag, and Cabaret. Dress to impress 60’s and glamour. The Rolling Stones Now – authentically recreate the look (with exact replica costumes and instruments), sound, energy and atmosphere of the Rolling Stones’ seminal live gigs, celebrating all that has made them legendary! They will be presenting songs from the legendary 1968 film The Rock ‘n’ Roll Circus as well as many other hits. Jasz Vegas- A Magician, Burlesque Dancer, Actress, Presenter and Performance Artist. Best known for her TV show Killer Magic (BBC Three), Jasz is continuing to work on more TV shows as well as performing live internationally. Ruby Wednesday – Compare & performer from British Drag documentary series Drag Queens of London. Appearing regularly on the worldwide Drag and Cabaret circuit, Rub is known as a star of the Ashes to Ashes Cancer Vs Cabaret Show at the South bank London and opened the show for cult band The Dresden Dolls. Briar Rouge – International Burlesque Star. Ethereal and enchanting, Briar has been hailed as ‘the Princess of Fairytale Burlesque’. Her poise and grace will leave you captivated, while hints of her cheekiness provide the perfect amount of fun. Briar is a resident jazz vocalist at high profile London and Hertfordshire venues. You may also recognise her from Channel 4’s First Dates! Ginger Snaps -Flame-haired burlesque performance artist Ginger will dazzle you with her gothic elegance and spectacular rock music stylings. Our local glamour ghoul will also welcome you to her rock n roll nightmare with music on the decks during and after the show.